Are you always rubbing your eyes or blinking constantly to spread more moisture across the surface? Dry eyes can be extremely irritating, even painful for some people. Inadequate lubrication may cause sore eyes, redness, an inability to wear contact lenses and overall uncomfortable vision. 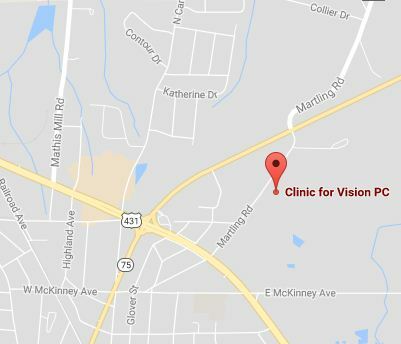 At our eye care clinic, our experienced, expert eye doctors will perform a thorough eye exam to diagnose Dry Eye Syndrome. As every patient is unique, our eye exam will include questions about your personal lifestyle in order to identify what’s causing your dry eyes. Finding the cause is the best way to find an effective solution! Whether it’s summer or winter, extreme weather can stress your eyes so that they can’t produce enough tears to keep your eyes lubricated well. In the winter, it’s helpful to wear goggles or glasses to protect your eyes from frigid temperatures and wind. This is particularly beneficial when you hit the ski slopes or lace up your ice skates. In the summer, heat can lead to dehydration, which saps the moisture from your eyes too. The best way to avoid this problem and stay comfortable is simply to drink enough! Air-conditioning, fans and indoor heating are directly linked with drying out your eyes. Blowing air evaporates moisture from your eyes more quickly, and it also dries out the atmosphere inside your home or office. A humidifier is a worthwhile investment to solve this problem. In the winter, a humidifier will give you an extra bonus of keeping your sinuses moist too, which helps to relieve the symptoms of your winter cold. Recent studies have shown a strong link between spring allergens and dry eyes. When pollen counts are highest. an increased number of patients visit our eye doctors with complaints of dry eye symptoms. During allergy season, using an air filter indoors may be the most efficient way to avoid the effects of pollen on your eyes. Specific skin conditions and disorders are associated with dry eyes. Blepharitis, which refers to an inflammation of the skin along the edge of your eyelids, often leads to Dry Eye Syndrome, because the oil-producing glands are often clogged. This ruins your eyes’ ability to produce tears with a healthy composition of oil. Rosacea, an inflammatory skin condition that generally appears on the face, may also block the oil-producing glands of your eyes. While fresh, outdoor air is generally healthy for your eyes, skin and lungs, too much exposure to smoke, wind, dust, and extreme temperatures can certainly lead to eye dehydration. Global climate change has been blamed for many of these ill effects, as your tear film depends upon natural humidity to stay moist. Yet as our environments have changed (and continue to change), the amount of hydration that your eyes can obtain from the outdoor environment has been reduced. Air pollution is also detrimental to healthy eyes, damaging and drying out your tear film. Our eye doctors diagnose many cases of dry eyes that are due to a reduced tear production. Officially termed keratoconjunctivitis sicca, a decreased manufacture of tears can result from a variety of causes. To stimulate tear production, it may be helpful to up your intake of omega-3 fish oil. Aging is a common reason for inadequate tear production, as well as certain medical disorders, including rheumatoid arthritis, lupus, diabetes, thyroid conditions, scleroderma, vitamin A deficiency and Sjorgen’s syndrome. If you’ve undergone radiation treatments, your tear glands may have suffered damage. Laser eye surgery is another potential culprit, however symptoms of dry eyes due to these procedures are generally short-lived. When your eyes are unable to keep up with healthy tear production, it’s a good idea to take a look at any medications you’re taking. Common household drugs, such as decongestants and antihistamines are known to affect the moisture level of your eyes. Other medications that could cause dry eyes include: antidepressants, hormone replacement therapy, acne drugs, medication for Parkinson’s disease, hypertension treatment and birth control. How Do I Treat My Dry Eyes?